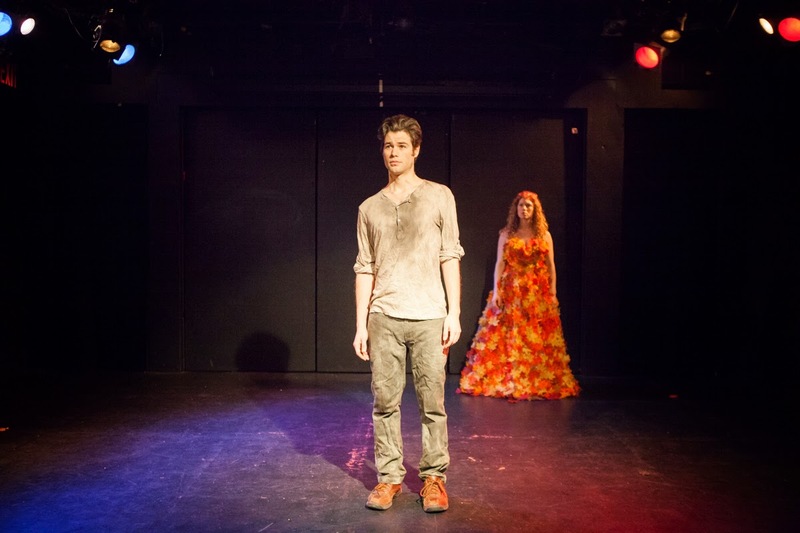 StageBuzz.com: FRIGID New York Interview - Jeremy Cone of "The Field: A Musical Myth"
FRIGID New York Interview - Jeremy Cone of "The Field: A Musical Myth"
Jeremy Cone mixes words, music, stories, and photography to create a unique theatrical experience. He’s produced and performed The Field in New York (Dixon Place, Under St. Marks, and Muchmore’s) and Los Angeles (Beyond Baroque). He lives in New York and continues to grow The Field every day. Where all the lives are made. And see what it will yield. The past is in the womb. The future’s in The Field. I wanted to write something that people could relate to that was also uplifting. I was in LA trying to grow a life as a person and as an artist. I put those feelings into words that I shared through spoken word poetry at open mics to see if they resonated with people. They did because I believe everyone’s working to grow something. Whether it’s a career, a relationship, or a project, there’s a growth process that requires work. So the idea of someone literally working in an open Field intrigued me. It was a good metaphor for the work I’ve seen and see many people do in various Fields. I’ve always been interested in stories and myths and how they shape and impact reality. This is a story I’m telling, but also one that I’m living as I’ve been working to grow The Field from 3-10 minute open mic sets to a full production with singers, actors, and musicians here in New York. Some of the writing has come from experiences of executing past productions so the work, words, and music all feed each other. The Field has more to go and grow, but I’m excited to present it in the FRIGID Festival. I’m fortunate to have a wonderful cast and crew for FRIGID made possible by the kind supporters of our Kickstarter campaign. Lucian Smith (music director, arranger, conductor, and master of the keys) has been working with me for over a year on the project. The wonderful production team is Chelsea Owens (Stage Manager) Emily Naylor (Assistant Director) Jane Clausen (Art Director) Emily Craver (Choreographer) and Danielle Santos (Production Assistant). The cast has Rosie Sowa (Harvest Woman) Gregory Levine (Thief) Jasmine Thomas (Mother Goddess) Julie Congress (Storyteller). Tucker Bryan (Man In The Field Understudy), Briana Gibson, Matt Magrath, Clare Rea, and Dennis Williams are People Of The Field. They sound great! My dream audience is as many people as possible. I hope that everyone who sees The Field can relate to some part of it, and walk away with something. I like to think of the story as a seed that people can take with them. Hopefully they keep growing. My parents loved musicals and played soundtracks on car rides. I memorized a lot of the songs and would imagine what was going on onstage. They encouraged me to pursue writing and performing. My high school drama teacher Jen Yolles directed plays that the student cast collaboratively wrote. It was a great outlet and rewarding experience writing and performing something with and for my peers. My college directing professor Alma Becker had a deep love for theater and the people who made it. She directed Strindberg’s “A Dream Play” in 2006 and some sequences still stick with me. Other influences are Stephen Sondheim for his lyrics. Julie Taymor for her vision. Lin-Manuel Miranda for his ability to make modern musicals. Ellen Stewart for her dedication and contributions to independent theater and the people who make it. It means a lot to present The Field on East 4th street aka Ellen Stewart Way. As many as I can but definitely Heart Of Oak, It Ain’t Going To Be Normal, Hey '90s Kids, You’re Old, Post Traumatic Super Delightful, Erik, 300 to 1, An Evening Of Not So Quiet Despair With Satan, Whiskey Pants, Thoughts Of A Colored Man on a Day When The Sun Set Too Early, and Where I’m From. I’ll be recording some songs from The Field and making some videos. I’ll do some public performances of The Field in New York once it gets nice out. I’ll also be doing a hometown show of The Field in Boston in June. Your dream show to be involved with? West Side Story’s original production just to see Leonard Bernstein, Stephen Sondheim, Jerome Robbins, Arthur Laurents and Hal Prince work together. Your best theatre experience? When I was 8, I was in “Fiddler On The Roof” with my dad and brother. Your worst theatre experience? Doing a show with a 3 person audience. Person you’d most like to thank for getting you where you are today? My mom. Though it’s many more than one. 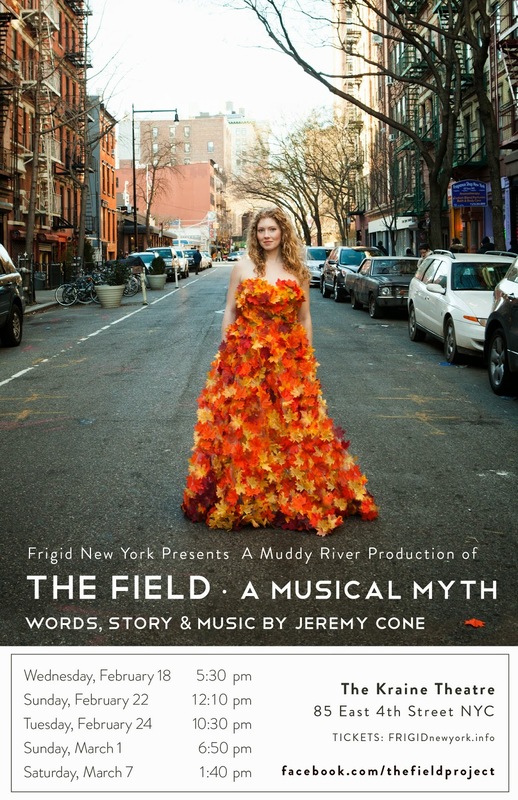 For more information on The Field: A Musical Myth, visit the FRIGID New York website.